Perdido Beach, Alabama feels like home. Perdido Beach, Alabama is a small town located on the south western shore of Perdido Bay, between Soldier Creek and Palmetto Creek in Baldwin County, Alabama. 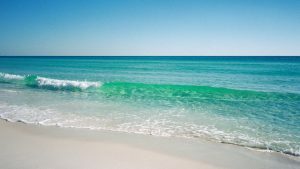 Perdido Beach, Alabama, just minutes away from Perdido Key, Orange Beach, Gulf Shores, Foley, Alabama and 15 minutes from Pensacola, Florida. Perdido Beach, Alabama has over 100 years of recorded history. Many years ago, Perdido Bay was a rendezvous for Pirates. Old Spanish coins have been found, also old guns, and it has been reported that at least one pirate treasure has been found. It is certain that in the early days, smugglers sailed up Perdido Bay into Perdido River to the American, Mississippi and Alabama territory to escape the Spanish custom duty. Evidence of Paleo and Archaic Native American tribes has been discovered near Perdido Beach, Alabama that date back to 1500 BC. Shell middens and earthen mounds that are at least 12,000 years old have been found scattered along the banks of the Alabama Gulf Coast, including Perdido Bay. Skeletons, earthen pottery, tools and other rare artifacts have been excavated from mounds near Bear Point in Orange Beach, Alabama, by noted archaeologist Clarence Bloomfield Moore that date back to 1250 AD. The sub-tropical environment of southern Alabama and the countless number of waterways that branch off the Gulf of Mexico provided an abundance of food for the Native Americans, as indicated by the discovery of numerous shell middens found along these shorelines. Other mounds have been discovered along the banks of Perdido Bay near Josephine, Alabama. Perdido Beach in Spanish means Lost Beach. We would be honored to create a custom, handmade photo quilt just for you. Beautiful Photo Memory Quilts with your photos, embroidery, monogramming and family memories. QuiltStories.com is an AL registered small business. We are an online only business located in Perdido Beach, AL Visit us today ! The “South Alabama Antique Tractor and Engine Club” was founded topreserve the rich culture of agriculture from the past in order to educate the current generation of activities involved in the daily life of the past,present and future; to participate in shows, to display all types of items and activities relating to farming. Serving the disease diagnosis needs of golf course and stadium turf grass managers since 2002.